Leaders' Questions today saw the Labour Leader Brendan Howlin seek answers on whether all section 38 agencies are in full compliance with HSE requirements on corporate governance. Continuing his tour of Labour Party branches around the country, the Labour Leader Brendan Howlin was in Cork on Monday. The visit started off in Fermoy with Deputy Sean Sherlock, moving onto Cork City with Kathleen Lynch and Ciaran Lynch before taking part in a Q&A session with party members at a packed meeting of various party branches that evening. Throughout the day we shared details of the visit on our Facebook, Twitter, Instagram and Snapchat accounts and here's a sample of just some what we posted online. Yesterday our Party Leader Brendan Howlin met Social Democratic and Labour Party (SDLP) leader Colum Eastwood MLA, Claire Hanna and Alex Attwood with Seán Sherlock TD to talk about how our two parties can work better together in light of the shocking Brexit result. Deputy Howlin and Colum Eastwood will further their discussions at theParty of European Socialists Leaders' meeting in Paris tonight. Read Brendan Howlin's speech to the Dáil in the aftermath of #Brexit. Our Labour Senators were delighted today that their Bill to ensure collective bargaining for freelance workers passed committee stage in the Seanad with cross-party support. We caught up with our spokesperson on Labour Affairs Senator Ged Nash to chat about what the Bill means for freelance workers. This Government's plan on broadband is short-termism. During today's Leaders' Questions, Brendan Howlin said the Government's decision on broadband is short-termism & not in the public interest. Brendan spoke about the battle with Fine Gael whilst we were in Government to protect vital public services and how the Government is going about the roll-out of broadband in the wrong way. Today during Leaders' Questions Party Leader Brendan Howlin said that the Taoiseach is losing his authority after his idea for an All-Island Forum was publicly slapped down by First Minister Arlene Foster. Deputy Howlin criticised the Government for their divided position on the Fatak Foetal Abnormalities Bill being voted on in the Dáil this week. Has the Oireachtas ever been asked by Government to legislate contrary to European law? Today during Leaders' Questions our Party Leader Brendan Howlin asked the Tánaiste if Water Services Bill going through the Dáil this week is unconstitutional and against EU law. Deputy Howlin outlined his concerns that the Government was now asking the Oireachtas to pass law that is contrary to European Law and if the passing of the Water Services Bill - essentially suspending water charges would leave us open to a massive legal challenge from the European Commission? 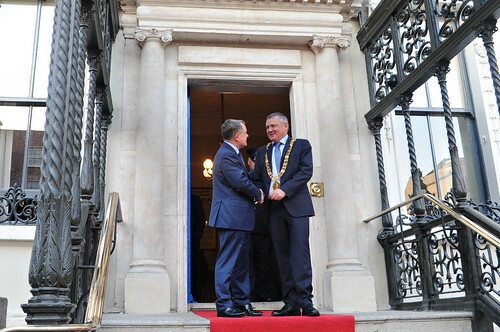 Last night Cllr Brendan Carr was elected Lord Mayor of Dublin and Cllr Rebecca Moynihan was elected Deputy Lord Mayor. You can find out more about Brendan and Rebecca on our website. In South Dublin County Council Cllr Martina Genockey was elected Deputy Mayor while Cllr Terry O'Brien was elected Cathaoirleach of Kerry County Council. Well done to everyone and we wish you all the best of luck for a productive term of office. 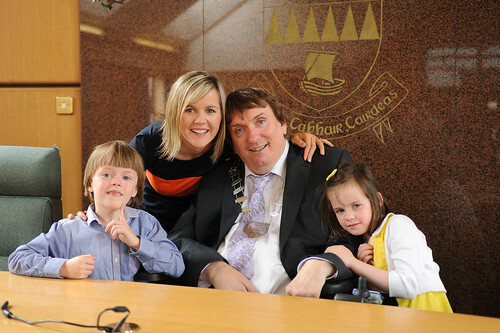 You can follow Deputy Lord Mayor Rebecca Moynihan on Twitter and Leas Cathaoirleach Martina Genockey . Reflecting on the tragic result of the EU Referendum in Britain Brendan Howlin today offered his sympathy and solidarity to the millions of young Britons who voted to remain in the Europeal Union. Speaking in the Dáil this afternoon Brendan Howlin said "It is critical at his juncture that what happens now makes the best of this bad lot for Irish citizens of the EU. That is the task that faces the Taoiseach and his Government. It is one that we will support them in and hold them accountable for."